﻿ Sourire at Rattanakosin Island Hotel, Bangkok | FROM $30 - SAVE ON AGODA! "Clean, great AC, good breakfast, amazing staff"
Have a question for Sourire at Rattanakosin Island Hotel? "Best thing is the sodas are for free!" "the location is very good for its value." "Overall is a pleasant stay." You will love the Sourire at Rattanakosin Island Hotel with its excellent location in Bangkok, giving you easy access to all the must-see spots. The hotel is close to Queen Sirikit Art Gallery, Rattanakosin Exhibition Hall, Contemporart Art Gallery, Democracy Monument, and Queen's Gallery. To make your holiday truly relaxing, you can take a short break from your other activities and pamper yourself for a few hours with a massage. Offering guided tours, the Sourire at Rattanakosin Island Hotel is a great spot to stay to learn about the area and see everything you can while you're here. This hotel has various convenient features, such as safety deposit boxes and a selection of shops. It features a bar, restaurants on-site, and room service, so you can eat in or grab something small to munch on. All of the rooms come with air conditioning, a bathtub, towels, and a closet, as well as a refrigerator, a wake-up service, a clothes rack, satellite or cable channels, and other amenities. There's free Wi-Fi available in all rooms, as well as Wi-Fi in common areas, connecting you to the network so you don't need to purchase a local sim card or spend on foreign data charges. 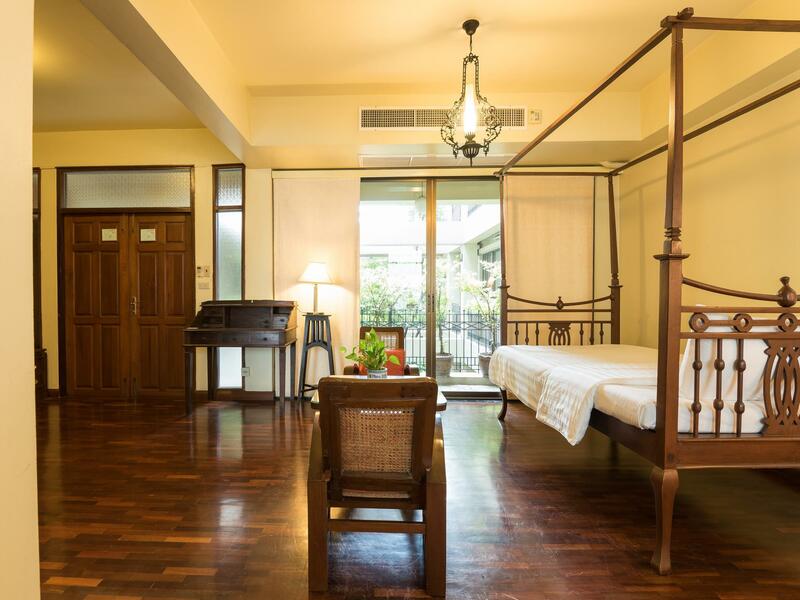 The Sourire at Rattanakosin Island Hotel offers a range of useful services, which include a concierge, luggage storage, daily housekeeping, and laundry services. With pet-friendly facilities, this hotel is ideal for pet owners who can't imagine a vacation without their entire family. It has a front desk that's open at all hours, so there will always be someone around to help you. Hua Lamphong MRT Station is 2.3 km away and Hua Lamphong Railway Station is 2.5 km away. The nearest airports are Don Mueang International Airport (DMK) and Suvarnabhumi International Airport (BKK), which are 20.5 km and 27.8 km away. First, It has the location which is very close to lots of famous place. It is on the very center of Bangkok. A lot of bus stations and taxi, tuk tuk around there. 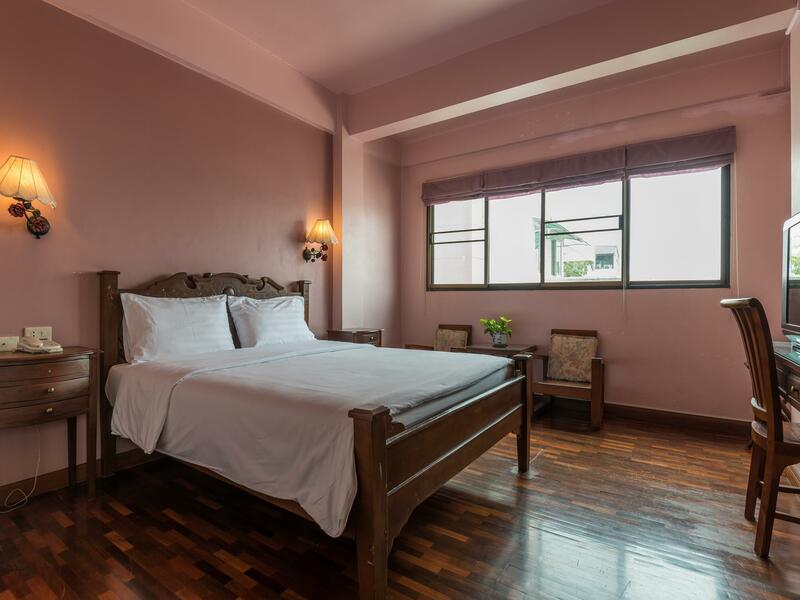 Khao San Road just 5 mins walk, 15 mins to The Royal Place, 15 mins to Golden Buddha Temple,... Through It in the center but It still so quiet and peaceful. Secondly, price is cheap. Almost 200 usd for 3 nights in Deluxe room. Idk about the other room but mine was amazing. All facilities are on the good condition. Room services is also great. You will not have to worry about your stuffs. It stay where it is when you came back. I left money and jewelry on the table but they were not move. Thirdly, breakfast and informations. You will get your breakfast served perfectionaly and delicious. And you will provided a card have name of the hotel in Thais, a map of famous places they made for traveling. And you are free to ask informations. They are very kind to explain detaily for you. My first trip to Thailand and love this hotel. NA. Did not see le. Our second time of stayed,Old but very clean,cold aircond,comfortable bed, hot shower,all fine but the room doesn't keep noise very well,we could here something from connected room, but its ok for us, we love the location where we walk for fun roadside foods, temples, market,river,walking street with pubs and restuarante. Con: No spray hose for toilet or coffee pot.. That's pretty well it. Breakfast great! Fresh fruit plate, eggs, toast, and coffee. When you pull up to the front you first say.. hmm what have I booked here. Then amazingly there is this fantastic building tucked in the back. Truly top notch. There are massive rooms on the top floors for those with a bigger budget then me. My room had a tub and double sink. Excellent cleaning staff and very high standards. 5 minute walk to Khaosan rd. Decor, simple, cooling, peaceful. Very spacious room for a family if 4. Overall is a pleasant stay. The only things make me frustrated is no kettle and hair dryer. Breakfast is simple but delicious. 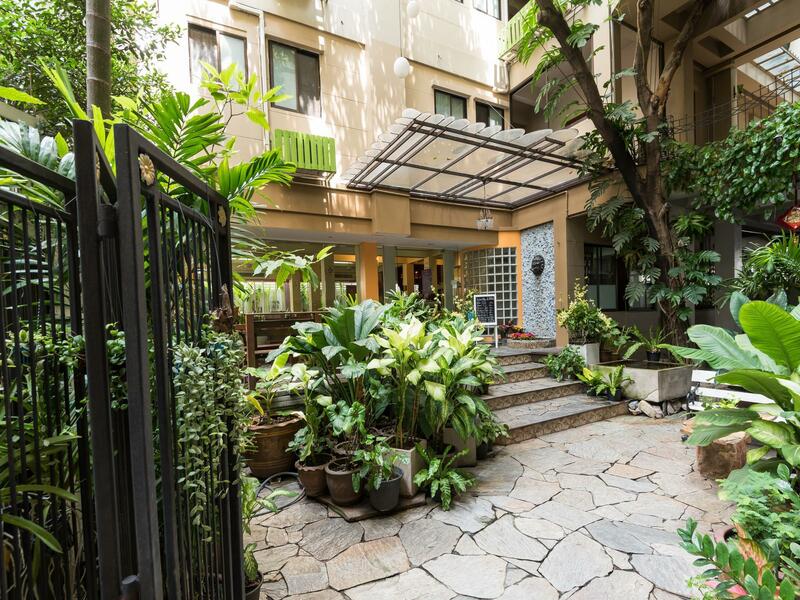 Near to the khaosan road only take 10mins walking distance. Will stay again in next visit. I'd like to thank the staff due to their helpful and friendly attitude. And the location is very good for its value. But the room was very very small and the furniture was old. In summary, hotel was above medium. Perfect location to see all the historical sites, close to ferry to get to other parts of the city . Breakfast is great in a nice garden setting with a very nice courteous service. We had the jr suite perfect for a couple travelling with a teenager. Would come back and highly recommend if looking for a Thai hotel located in a quiet side street. Most warm welcome to thailand we could’ve asked for! Hotel was at an amazing location, only a short walk from Khao San road and temples! Room was cleaned daily and stocked with pop and water. Very tasty complimentary breakfast! Staff was absolutely amazing! So kind and attentive! Our bags got lost at the airport and staff made sure to call airport several times until all was sorted out. Just genuinely kind and happy people, had an amazing stay and would definetly return! Khob Khun Kha! The place is perfect, Nice breakfast. Please figure out the way to the hotel before going there because it was really hard to find. I would recommend taking a taxi to the democracy building or kao san road and walk from there. Be Sure te use Google maps or any map really! Stay was Great. we didn't really know what we got ourselves into when we arrived at the end of a narrow hidden street right off democracy monument. it turned out to be a great stay for a quiet night only 10min walk from the heavy khaosan road nightlife. perfect location. The room was clean and confortable although the bathroom is quite small. The staff is very kind and helpful. 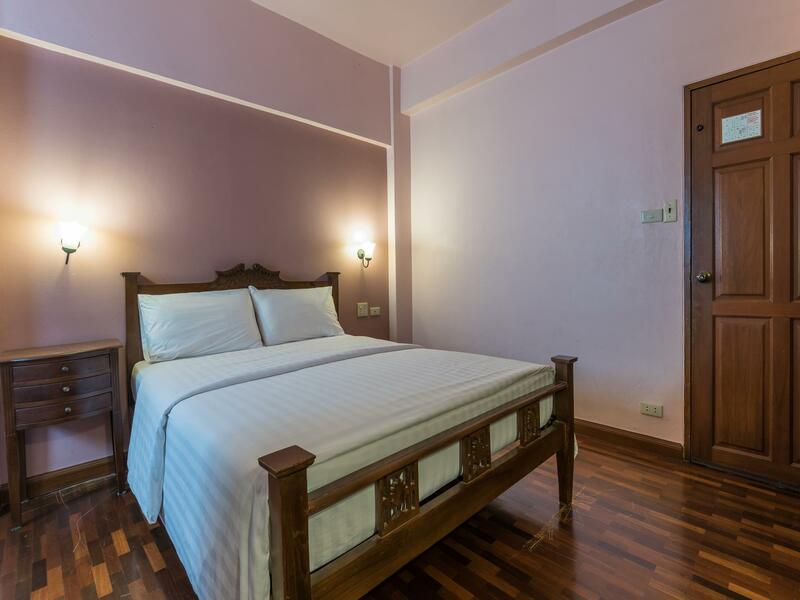 Very nice hotel, well situated, close from Kao San Road and many public transports. Nice room, with good wifi, air con and hot shower. Breakfast is OK, nothing special but good. Staff is very helpful and kind, smiling. The big plus for us is the quiet location, easy walking distance from our favorite place in Bangkok for night life and shopping. This hotel is just off the Democracy monument, within 25 minutes walk - evading traffic included - to the Grand Palace, boats, Khaosan Rd, we didn't stay long enough to find out what is close by. Breakfast is adequate, but can get tiring after a few days. The facilities are a tad worn, yet charming, and they get by with small fixes. Our bathroom had shower water draining into the main floor, so be careful. Worth a small investment for a safety correction. Rooms were large. Would be nice to have cable though. Staff is friendly and helpful. They can assist in booking rides, shows, tours etc. just be sure you are clear on price and timing. They allowed us a late check out and to store a piece of luggage for a week, for free. I would come back- maybe with a different bathroom. This place is amazing! Great location. A little hard to find at first for any cab driver, but well worth it. It's maybe a block from the democracy monument. And about 2 city blocks from the grand palace, and koh san road maybe a block away . You couldn't ask for a better location. It's got air con and is very clean. The staff speaks great english and everyone there was super friendly. I would absolutely stay here again! We stayed just two nights in Bangkok and can certainly recommend this hotel for its welcome, comfort, cleanliness and convenience. It is located near Democracy Monument so reasonably close to the Grand Palace, Wat Pho, Wat Arun, Khao San Road, the Chao Phraya River and a good selection of restaurants. Our room was clean with a comfortable bed, excellent WiFi. television, and a very small bathroom with hot water. A simple breakfast, served in their pleasant restaurant, is included in the room price and comprises a selection of fresh fruit, eggs cooked to order with toast & jam, etc., coffee or tea served by friendly, cheerful staff. We can highly recommend this accommodation. 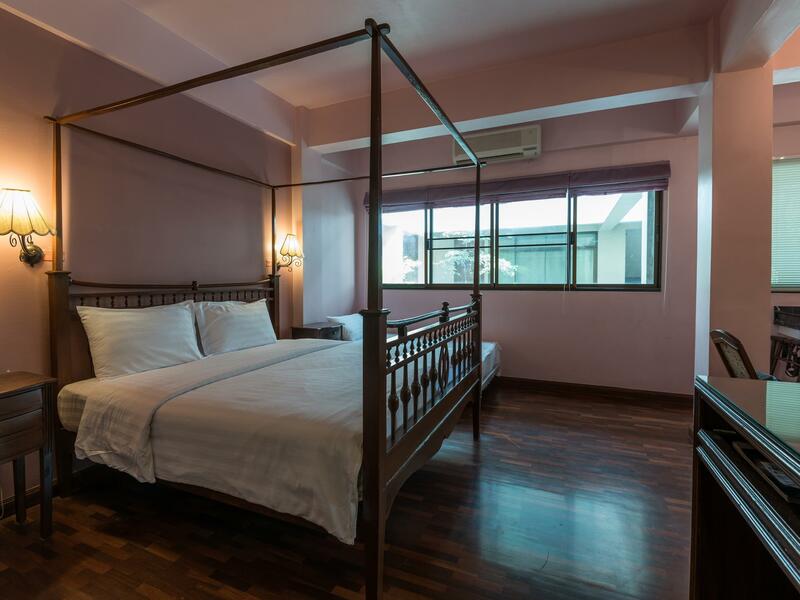 An excellent choice for a stay in Bangkok.